In a new series about the international community at SUSTech, we put a call out to our international students. Chin Chin Tan, a Malaysian sophomore, responded to the call. She is our first Malaysian student, and the Newshub sat down with her early in the 2018 academic year to find out more about her. Chin Chin Tan is from Kuala Lumpur, the capital of Malaysia. She’s a Malaysian Chinese who had traveled extensively in her younger days, including her high school days in Singapore, and childhood trips to Hangzhou, Fujian Province’s Wuyi Mountains and Beijing. 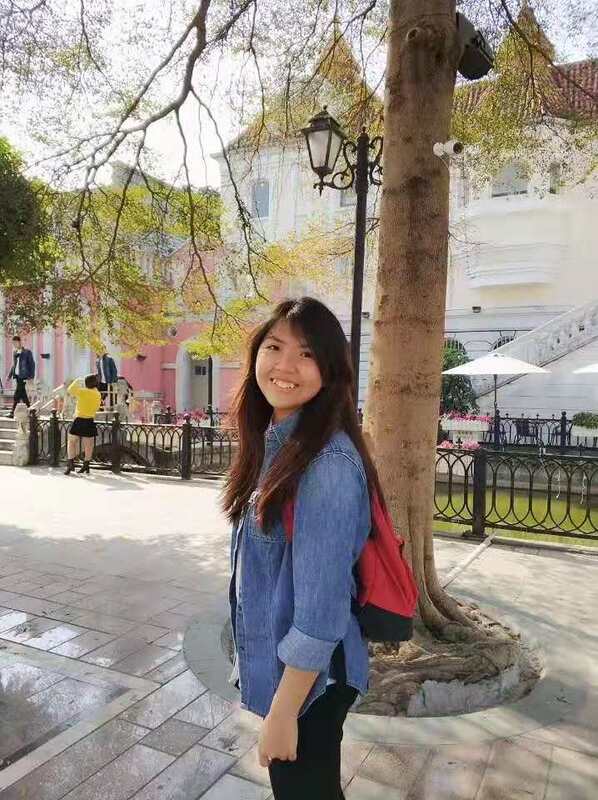 As the youngest child, she received the most attention from her family and admitted that she was not the most independent person when she came to SUSTech, despite her six years of being abroad before arriving here. She still misses her family and food from home, although she is not afraid to get out there and try all the amazing food on offer across Shenzhen and China. We asked Chin Chin what brought him to SUSTech, and she admitted that it wasn’t part of the original plan. She had attended an educational fair with her mother that featured universities from mainland China, as well as Hong Kong and Taiwan province. Chin Chin pretty much stumbled across the SUSTech booth, at the time a university that was not well known internationally, and started talking to the professors that were in attendance. She felt that it was a good opportunity to explore Shenzhen, a place she had not been before. Her wanderlust was clear when we asked what she wanted to do while she was in Shenzhen. The desire to “go to all of the places,” a desire shared by many of our international students, was punctuated by the point that if she stayed in Malaysia, she wouldn’t travel anywhere near as much. Within China, she has traveled to Guangzhou and Hong Kong with friends. Chin Chin regaled us with the scary story of journeying out to a small country town with friends for about six hours from Shenzhen in a bus, with no idea of how to get back to Shenzhen. She told us that her group managed to find a young couple who were driving back, who kindly offered them a lift back to Shenzhen. While many students have spoken of the language barrier is one of their major challenges, this was not the case for Chin Chin, having spoken Mandarin at home. However, the differing educational systems and standards from what she was used to in both Malaysia and Singapore created a new set of challenges for her. When Chin Chin first arrived on campus, she experimented with many activities, including the Student News Agency. She was heavily involved in the SUSTech Film Festival as part of the planning committee and joined the SUSTech Symphony Orchestra last semester as a cellist. In terms of her expectations about life on campus, she expected a more vibrant life. “Pop culture always told us that university life was about partying and social activities, but here we have classes until 9pm, so that was something I didn’t expect.” Even though it is so different from what university life would have been like in Malaysia, she does not regret making the decision that she made. Not a lot of people know about SUSTech, but if they really want to come here, I'll say that it's a very innovative university. It's a very different experience from what universities are like in Malaysia or western universities they have wanted to go to. I think it’s still worth trying, and they will have a very different experience here. I would definitely tell them about the rigor of the syllabus here. If they can handle it, it’s definitely worth trying.